I’ve been watching parents in the international community say goodbye to their graduating seniors for a while now. I’ve been watching the seniors themselves say goodbye to their friends – fellow third culture kids like themselves. Watching these parental goodbyes feels like a knife in my chest. I have to stop myself from thinking about it just so I can breathe again. Because I know that will be me, someday, saying goodbye to you. “Goodbye.” We get a lot of practice saying it. We’ve said goodbye to short-term workers. They never planned to stay, but we welcomed them into our lives anyway. We’ve said goodbye to others — longer term workers whose time in this country, for a variety of reasons, has also come to a close. And then, every year, I watch the graduating high school seniors. The ones who leave their families behind and travel to their passport country for their university years — and beyond. As I write this, all four of you are more than eight years away from entering your college years. Still, someday I will say goodbye to each of you in turn. My oldest son first, then a couple years later, my youngest son. A couple years after that, I will be saying goodbye to my oldest daughter. The next goodbye will be my last. My youngest daughter will leave too. I must say goodbye to you like this, no matter where in the world I live. And when you do leave, there are things I want to tell you. Things like. . .
You are my child. You are now an adult, and I’m proud of who you are, but you will always be part of my family. Our home can always be your home. No matter where we live, we will always welcome you into it. We have endeavored to give you as stable a home life as possible in the ever-shifting international community in which we live. I am sorry for the consistent, repeated, prolonged, never-ending goodbyes you have endured. So say goodbye well. For many of your high school friends, the goodbye may be forever. You might return to Cambodia; you might not. And your friends may not. Even if they do, it most likely wouldn’t be at the same time as you. So honor your friends with good goodbyes. Keep in touch with your TCK friends if you can. After my military upbringing, I finally found a small group of friends in high school. They were Christians. They buoyed my life and my faith at the time, and I regret not keeping in touch with them. Even with Facebook, I’ve only been able to find a couple of them, and I wish I could find more. So stay in touch. You won’t regret it. This journey has already separated you from many friends, so strive to keep the ones that still remain. There won’t be any weekend trips home for you, as I had. You’ll live more than just a few hours away. So you’ll have to say goodbye to this place, not just the people. Again, make sure you say goodbye well. Write these places, and their memories, on your heart forever. I was lonely and depressed my first year at college. My roommate was never around, and my hourly venture to the water fountain was the most exciting thing I did while I studied. Don’t do that; don’t be like me. I sequestered myself in my room. More time at a park probably would have lifted my low spirits, so for goodness sakes, go to a park every once in a while. I did find friends in a campus ministry. So whatever you do, find a good campus ministry. A community of your peers following hard after God. Form deep friendships there, deep enough to last your whole life long. My campus ministry friends still inspire me to love Jesus more, and to serve Him in both the little things and the big things. Find a good church. A church that loves, a church that lives and breathes and teaches both Grace and Truth. Churches are flawed because the people are flawed. But if the Grace is there, it will cover over the flaws. Hopefully these people will feed you and lend you their laundry rooms, and maybe even sometimes, when you really need it, their cars. They will be there to catch you when you fall to loneliness and depression and temptation. They will be people with whom you can worship every Sunday. Your studying will exhaust you, and you won’t feel like getting up on Sunday mornings, but if you show up, you will find God there. Try to live your life in real time, with real people. Don’t waste your time getting drunk, playing video games, or looking at trashy pictures on the internet. That stuff doesn’t satisfy. But even if you do turn to those things, your Papa and I will always welcome you with open arms. We are always your family. Our hearts are open, our home is open. Possibly more importantly right now, though, is that our inboxes are always open. And whatever happens, you must know that your Heavenly Father will always welcome you Home. He is always there for you. He will forgive anything. And should you ever stray from Him, don’t stay away forever out of fear that He doesn’t want you. He wants you. Believe it. To international parents who have already graduated a senior, I’d love to hear from you. I have never done what you have done. And in fact, I don’t really know what I’m talking about when it comes to TCK’s. I only wrote this in honest reflection of my past, and in painful anticipation of my future. So I’m curious — what things were helpful for both you and your teenager as you said goodbye?? Elizabeth, this is so beautiful. So much of it is applicable to all children, but what an especially painful look forward to your own future. You are raising a family of intelligent, aware children, though, and I’m confident they will make you proud as they grow into teenagers and then adults who leave home. My favorite part was how much you stressed that your home is their home and that you and Jonathan are always there for them. I don’t recall whether my parents ever said anything like this to me when I left home, and I’ve tried to be independent since leaving, and not a burden to them, but I’ve learned how comforting it is to know that they are there – and not just when I need them, but even if I simply want them. There is no greater comfort to an unmarried person in this big world than the knowledge of two people who will be supportive no matter what comes. Thanks for, as always, writing REAL & writing from your heart!! Oh my gosh – tears on this. I’m sending it to my mom – who sent five of us off at different times. This is an amazing letter. Although I’m years from when I left Pakistan, it hit my soul in ways that I can’t describe. Thank you. My dear daughter. I read this last week and it was too raw to answer right away. Things like this are always easier the second and third time around. Your dad and I do indeed hope you feel very welcome in our home any time, along with Jonathan and the kids. It is a hard thing – you want your children to grow up to be productive members of society, but letting them do that is hard. I still remember how I felt taking you (our first born) to kindergarten (which repeated itself when your sisters went) and then still remember where I was standing (in the kitchen of the house on Brownfield) the day it hit me when you were a freshman that I only had four years left before you were off to college. and then to know we would endure that again with as your sisters followed you out the door! Even writing about it now brings tears to my eyes. Oh, Mom, you made me cry! You took me straight back to that house, and I can just imagine when that realization happened. As a 9th grader, it seems FOREVER till 12th grade, and you make all these 4 year plans so you can apply to colleges when the time comes. But I know now that 4 years is fast. You know, I don’t think I was self-aware enough to know, at 18, that I was sad and depressed and possibly not dealing with it well! That may have been why I didn’t say anything at the time. It’s only looking back that I can see it for what it is. There’s a family here of 3 blonde girls, and the oldest is graduating soon. Their mom is posting pictures of when they were little and talking about all the good memories. It’s like a little mirror of our family. So hard to say goodbye! The kids all miss you tons, and thanks for the short Skype this morning. It was good to see those classrooms 🙂 Love you bunches! The international world truly is a small place (I’ve never read your blog before, but a missionary friend in Haiti recommended your “top ten” post and I’ve enjoyed reading several). Thanks for your honest posts. I’m a 52 year old TCK/MK who remembers VIVIDLY leaving Haiti on a plane with three other new graduates, leaving our families, lives, friends, home to head to college in the US. Be thankful for internet – use it well to communicate often with your kids – spend (seemingly) lavishly to bring them home for break or arrange for them to visit grandparents, etc. whenever possible – if at all possible, visit them at college so they know you know what their life is like. Above all, pray diligently for them. Being an MK is the hardest and most wonderful part of my upbringing – I trust your kids find as much enrichment from it as I have. worse! I’m in Kansas, but even from Kansas God provides me opportunities to be involved in reaching the world for Him. One more thing, I was just at a mobilization event and heard data about how MK’s often grow up to be highly successful/fulfilled missionaries. Wow, Elisabeth!! That was great! I am about to go through this! I KNOW it will be hard!!! This was great to read! I was so interested to read this blog post. I leave tomorrow from China to attend Indiana University’s graduation of my oldest son. The 4 years of university has flown by. Your first comment about always having a home is true. The house or apartment location may change but my son is always welcome home. During holidays and summers this is important to remember. 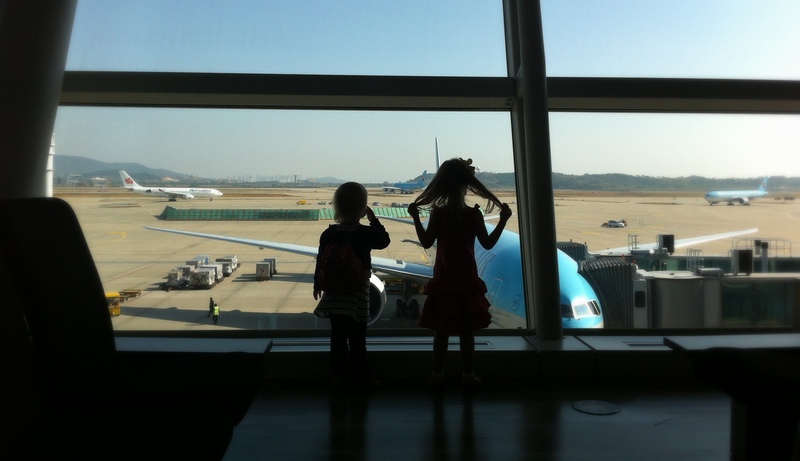 The tck is aware of the expense of international travel and may feel reluctant to ask. As parents we decided to do whatever possible for the boys to come home. I never stated it as a for sure thing done deal promise just a desire we all trust The Lord for together. He has answered and provided. Thankyou for expressing so beautifully what you would say to your own children when they leave. It brought tears as it echoed so many of my own ideas and thoughts. Saying goodbye to our first son and having him in Australia while we are still here in Cambodia, fills me with mixed emotions. There is delight and excitement to know that God is maturing and leading him into all the things that He has planned, yet it is tinged with the hardness of not being there for the incidental conversations, special occasions, the crazy moments and jamming with brothers. There is a song called “watercoloured ponies” (Wayne Watson) that when the kids were little, we used to listen to that expresses so many of the feelings of watching your children grow. God bless you Elisabeth, you really have a gift of expressing beautiful truths in a way that others can connect with. I looked up that song, and the words made me cry! I’m still in “mounds of laundry and a stairway laced with toys.” But the thoughts of “what will we do when it comes back to me and you?” and “they look a little less like little boys every day” are so true. I can’t believe I’ve been a parent for 10 years — and I’m sure you feel the same about yours. Those first years went by so fast (although at the time they did not seem fast). Occasionally I can still look at my firstborn and see the face I saw in him as a baby, and those fleeting moments are so precious to me. (In the meantime I really do enjoy his ability to have deeper conversations.) May God be with us all, in every stage of parenthood. My husband read this and recommended it to me. We lived in Uganda for 6 years while our kids our young. Our oldest is finishing his Jr. year at high school and we’re seriously considering moving overseas (maybe India, Thailand, Cambodia) this fall. Right before his Sr. year. And I’m DEFINITELY thinking about what it will look like and be like at the end of that year. Thanks for posting. I may even use some of this to write my own letter to my kids. Hi Shanthi, thanks for stopping by. 🙂 I’m glad this letter was a blessing to you. May you feel God ever present as you make decisions about the future — next year in particular — and may all your goodbyes, no matter where they are in the world, be full of love. Blessings. I just found this blog when a friend shared your post on the modesty culture. It was one of the best things I have seen written on that subject. Then I went exploring. This post helped me release my pent up tears. We have just returned to the mission field for the first time without my oldest son. And in a few months my oldest daughter, my only daughter, will be leaving us as well. I have a missionary since I was a 19 year-old newly wed. Good-byes have not been a hardship for a decade, at least. But now my heart is breaking. I think the parent-child goodbye has to be the most painful one for a missionary. For years we get to take our favorite people — our spouse and children — everywhere we go. And then suddenly, it stops. We don’t have everyone with us anymore. So, my dear sister, I have no useful words to offer you, I can only offer to sit in sadness with you. This is so hard — the hardest thing you have ever done. And I am so sorry. That your heart is breaking is not an exaggeration. It is an actual, literal breaking, and I’m so sorry for the pain right now. I am just so, so sorry.